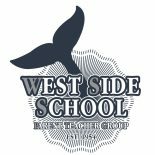 West Side Theatre Association was created by some West Side parents who were passionate about the ARTS and wanted 5th and 6th grade West Side students to have an opportunity to perform in a play during their years at WSS. A wonderful play is organized every year and held at the high school PAC (Performing Arts Center). Attn: All West Siders, West Side School Theatre Association will be presenting “The Music Man Jr.” at the PAC with two performance dates, December 8th and 9th. Come support the arts at West Side and cheer on our amazing 5th & 6th graders. Tickets are $5 at the door.